With the new year comes new content for the NO AD app. This month, we have an exhibition curated by Jowy Romano called Unlimited Ride, which focuses on artists who use the subway as muse. Following Unlimited Ride, NO AD will present a Gif exhibition and look forward to more exciting content in the months to come. With new projects gearing up, we hope you will download the NO AD app and continue to follow this project in 2015. 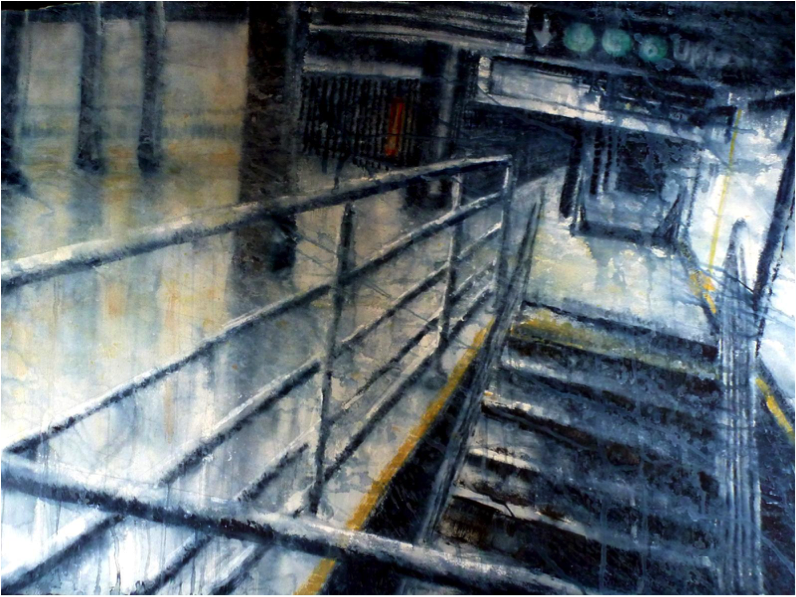 The New York City Subway is a source of much frustration for its riders, but it also acts as a source of inspiration for many artists. From its oddly beautiful, dilapidated stations; to its iconic train cars; to its riders from all walks of life—the Subway has unlimited potential as a catalyst for art. 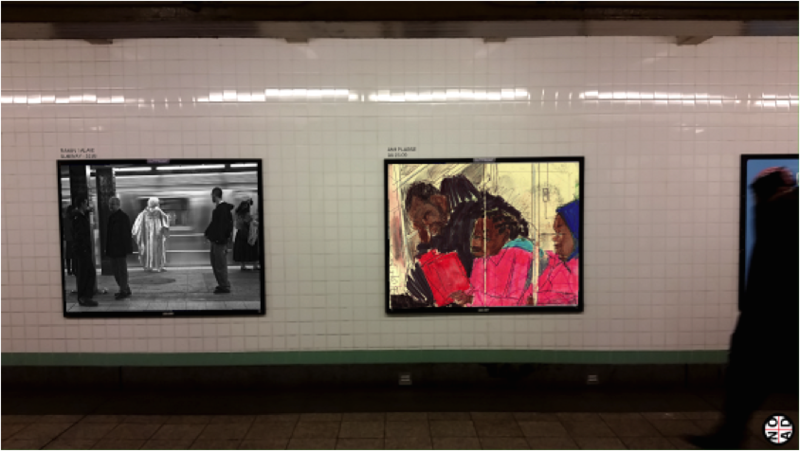 Unlimited Ride, a completely digital art show appearing on the NO AD platform, explores the Subway with a diverse group of artists working in several different mediums. The project includes cartoon portraits by Ami Plasse, sculpture by Brina Thurston, sketches by Elbow Toe, watercolor paintings by Joan Iaconetti, MetroCard mosaics by Nina Boesch, black and white photography by Ramin Talaie, oil paintings by Seth Tane and color photography by Stephen Mallon. More information about NO AD is available in its initial media release and on its website. The app is available for Apple and Android devices. Download at the links below.